Hurricane Michael—a Category 4 mammoth storm and the first of its strength to hit the Florida Gulf Coast with such force since 1851, when recordkeeping began—swept through the Florida Panhandle on October 10 with winds over 155 mph, leaving Mexico Beach in piles of rubble and claiming the lives of at least 18 people, as well as destroying and damaging structures across seven states (at press time). At least 1.4 million homes were without power following the storm, as search and rescue efforts continue. According to CoreLogic early predictions, 57,000 homes were at risk from Hurricane Michael’s damaging winds and deadly storm surge, for which the reconstruction cost value could amass to $13.4 billion in a 100-percent destruction scenario. The damage to date? 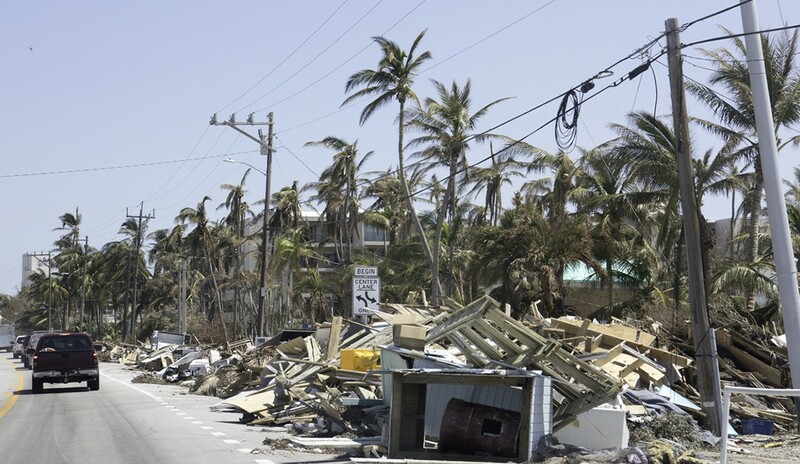 Over 19,000 individuals and households have registered for disaster assistance, according to the Federal Emergency Management Agency (FEMA), and, according to CoreLogic’s post-landfall data, an estimated $2 billion to $3 billion in wind-related losses for residential and commercial properties in Florida, with storm surge accounting for approximately half a billion to $1 billion in losses (including those covered by the National Flood Insurance Program). In other impacted the states, the combined total losses caused by both wind and storm surge is expected to be around half a billion to $1 billion. Yardi Matrix predicts about 205,000 multifamily units in Florida, Georgia, South Carolina, North Carolina and Virginia may have been impacted by the hurricane. Total damages are between $16 billion and $20 billion, Moody’s Analytics estimates. In terms of insurance, the Wall Street Journal reports that Florida is a unique environment in which most property damages will be paid by small, unfamiliar insurers backed by larger reinsurance companies from around the world, instead of the typical household names such as State Farm and Allstate. Experts estimate insured losses may range from $2 billion to $10 billion. According to ClosingCorp, a provider of closing cost data, Hurricane Michael has endangered over 1,600 pending mortgage transactions with a combined value of more than $400 million. As for existing mortgages, homeowners impacted by the storm may be able to claim financial relief. As the hurricane neared, both Freddie Mac and Fannie Mae enacted disaster relief policies in locations that were presidentially-declared as Major Disaster Areas. “Once safe from this dangerous storm, we strongly encourage homeowners whose homes or places of employment have been impacted by Hurricane Michael to call their mortgage servicer—the company to which borrowers send their monthly mortgage payments—to learn about available relief options,” said Yvette Gilmore, Freddie Mac’s vice president of Single-Family Servicer Performance Management, in a statement. Hurricane Michael’s devastating blow came just a month after Hurricane Florence, a Category 4, slow-moving storm that drenched the Carolinas and Virginia. According to Porch, a home improvement marketplace, homes in these regions sustained an average of $2,919 in damages per home, totaling a whopping $180,978,000 in overall damages. Compared to 2017, drywall and plastering project requests were 15 times greater. Requests for flooring repairs increased tenfold. In comparison to 2017, roofing requests skyrocketed, at 23 times greater. Window projects and home-building are five times higher than in 2017 at this time. While residents are still reeling from September’s destructive blow, these regions were once again impacted—Hurricane Michael, although downgraded from its initial strength to a tropical storm, wreaked havoc, causing the deaths of at least six individuals in Virginia alone, spawning several tornadoes and dumping 7 additional inches of rain in North Carolina this past week.